A high-performance cable reel is an absolutely essential component of any CCTV pipeline inspection system, and our mainline reel is among the best. The variable speed motor and dual gear ratios provide excellent control. The gear-driven cable drum eliminates the drag typically found with chain drive units and allows tractors to travel greater distances. The powerful reel can carry up to 2,500 feet of our nearly indestructible single-conductor cable. State-of-the-art micro-processor control electronics allows local and remote operation. Gear-driven cable drum eliminates excessive drag typically found in chain drive units, allowing tractors to travel greater distances. 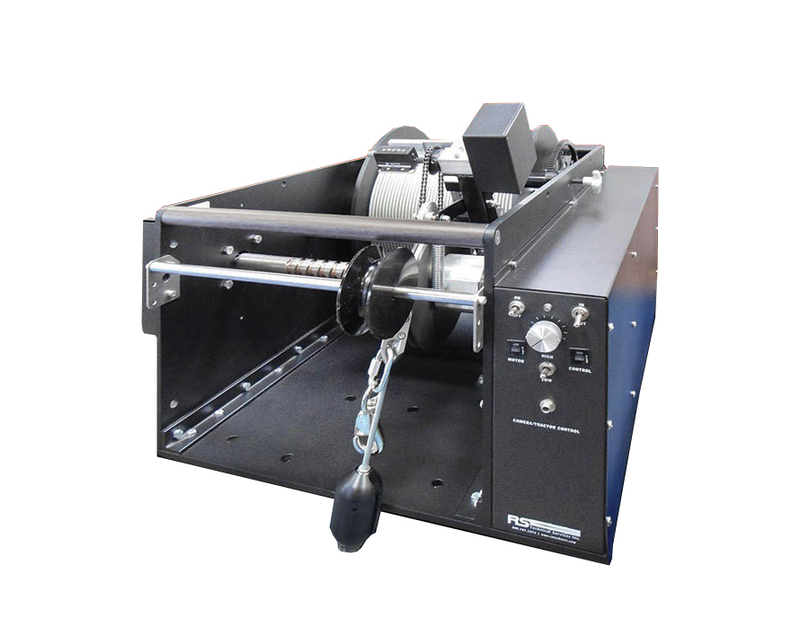 Extreme-duty automatic cable level wind with heavy-duty, self-aligning sealed bearings chain drive connects the level wind shaft to the cable drum shaft for accurate timing of the rewind operation. An electronic/mechanical footage counter is mounted on the level wind shaft to indicate cable travel in feet, and tenths of feet, at the reel and on the data display at the operator’s station. Cable measurement accuracy adjustable via software to within .10 foot.